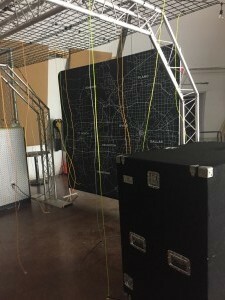 Check out the “Potential” exhibit from our On The Road Tour Here! 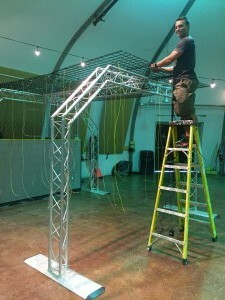 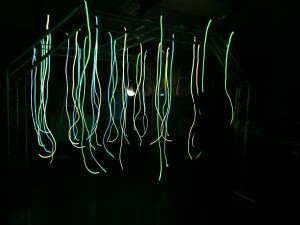 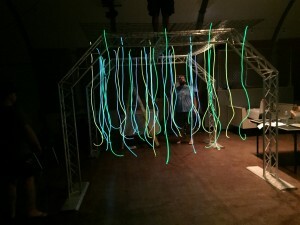 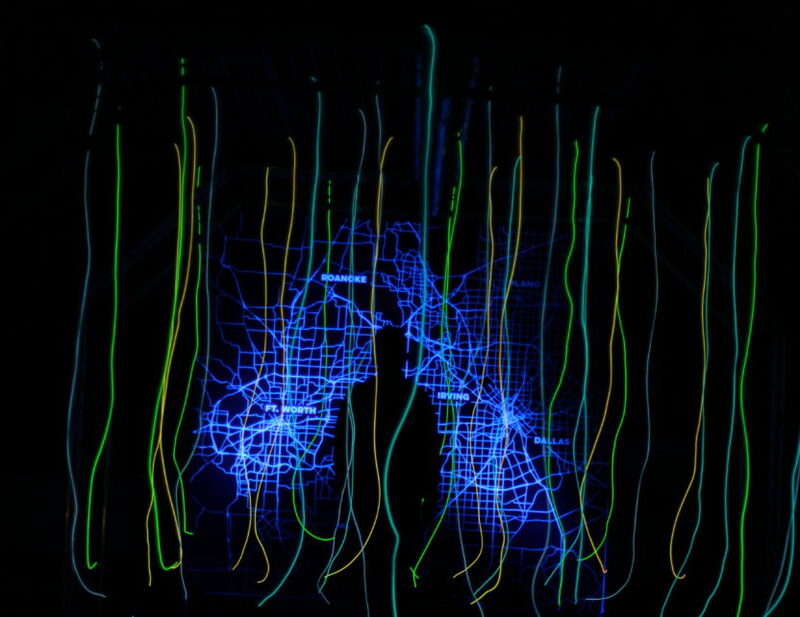 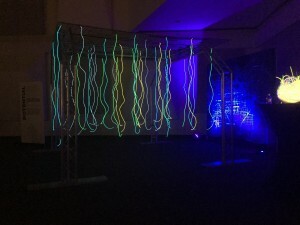 This exhibit was made using two truss arches, a grid wall ceiling, and LOTS of EL wire. 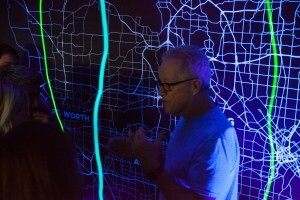 We also created a custom map of the DFW area to anchor the back and provide a visual for our exhibit hosts as they shared our vision for campus expansion in the DFW area. 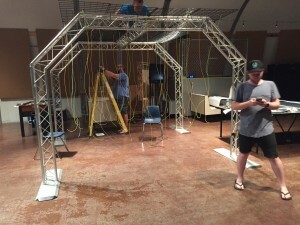 This exhibit rivaled the Power exhibit for the most pop and coolest attraction, but it was also the most complicated to move and set-up/tear down. 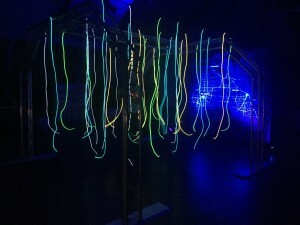 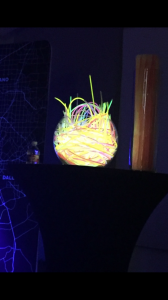 It took multiple days to assemble this thing and line up all of the EL wire drops. 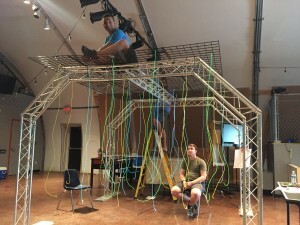 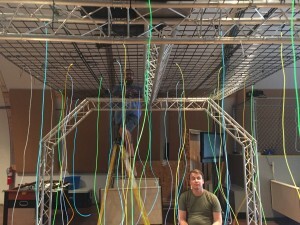 We kept those attached to the ceiling during moves, but had to be extremely careful not to cut them or short out connectors in the moves. 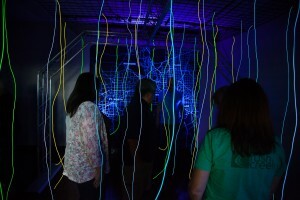 When people stepped up to this exhibit, they were challenged to get through the light maze without actually touching any of the hanging light strands. 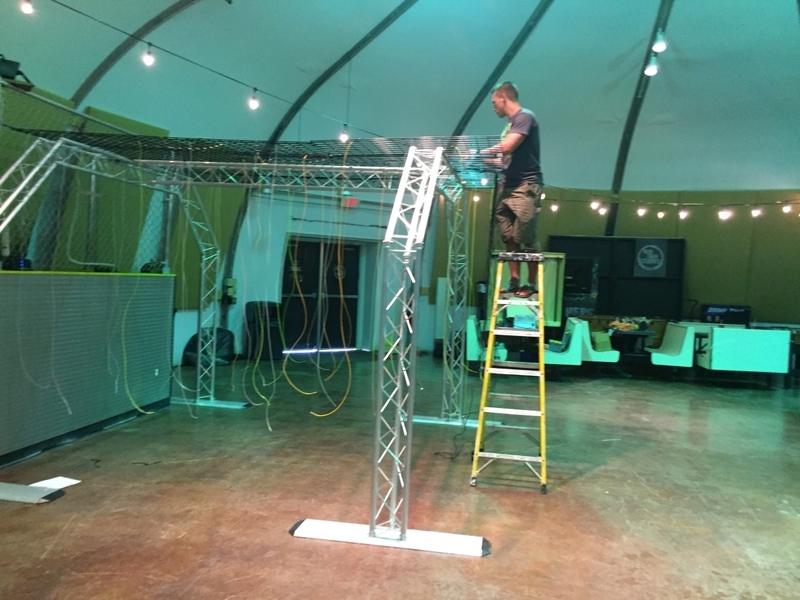 This was tough to do, as they were spaced out anywhere from 12-18 inches from each other and were 7 feet tall…plus they curled at the bottom, making it even more complicated. 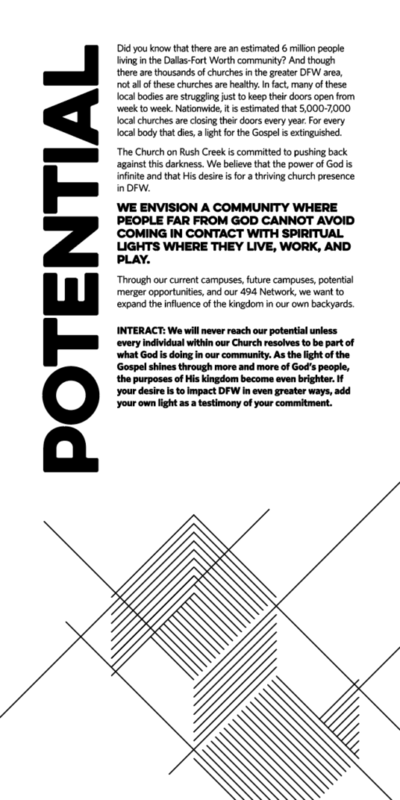 The idea is that we want our people and campuses to permeate our community to a degree that people have to go out of their way to NOT come in contact with us. 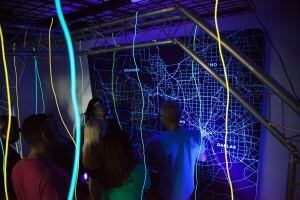 We want to have points of light and hope all across DFW. 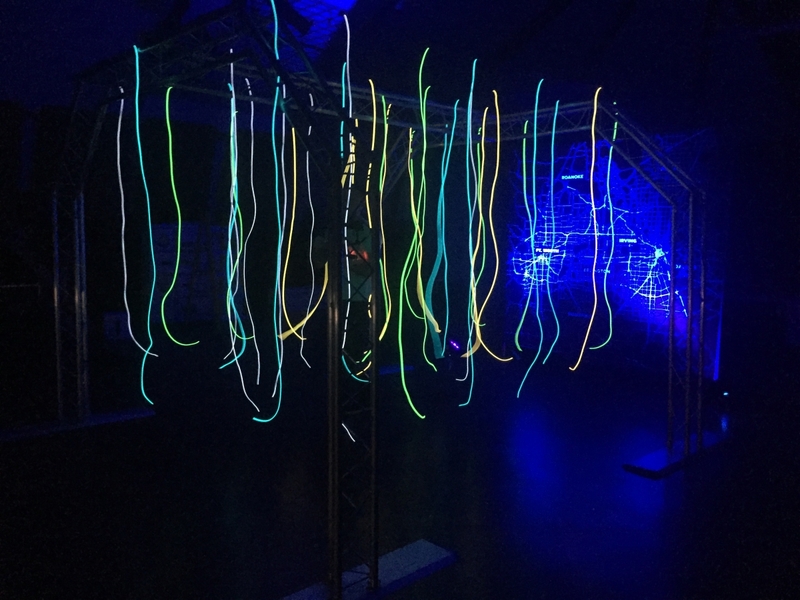 After completing the maze, participants were lead through our “Potential” vision by exhibit hosts and asked to commit to praying about their participation over the next 30 days.